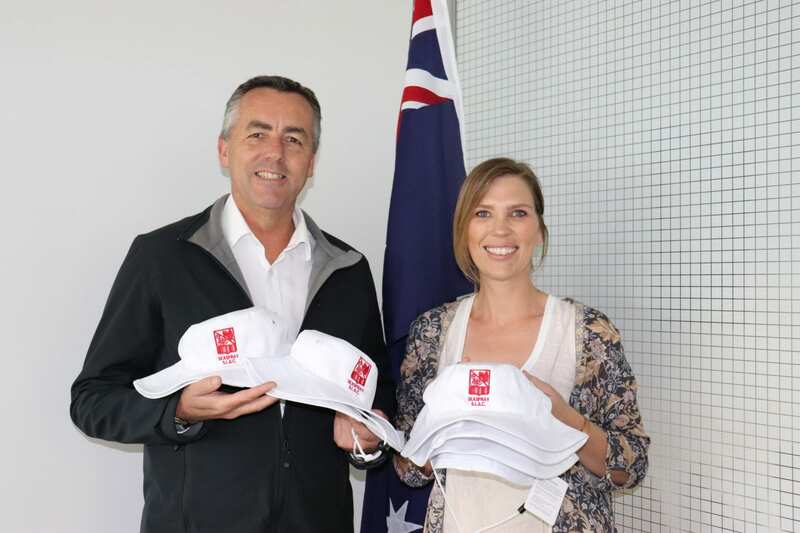 The Nationals Member for Gippsland Darren Chester presents boxes of hats to Seaspray Surf Life Saving Club representative Lisa Centra. Mr Chester has donated the hats for all participants of Seaspray’s Nipper Education Program. The Nationals Member for Gippsland Darren Chester has presented Seaspray Surf Life Saving Club with hats for its Nippers. The Nipper Education Program introduces children aged 5 to 14 years to water safety skills and surf lifesaving. Seaspray held the first beach session for its Nippers last weekend. Mr Chester is a water safety officer at Lakes Entrance Surf Life Saving Club. He said Nippers was a great program which provided safe, fun and organised activities for children in a beach environment, while preparing them to be future lifesavers. “Nippers caters for all manner of experience and skill levels,” Mr Chester said.